If you’re looking for a straightforward approach to high-end apartments in Streeterville, you’ve found your new home. That same no-nonsense perspective is even in our name – right in the center of the “City,” in “Front” of the river, the Magnificent Mile, the lake and so much more, it’s definitely the “Place” to experience Chicago at its best. Among all of the first-class amenities here, the one we don’t mention is the feeling you get knowing that an entire building is your home. 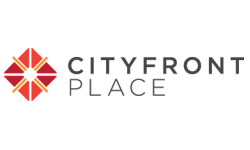 From the stunning views to the pool to the outdoor patio, you’re sure to find your happy place at Cityfront Place.